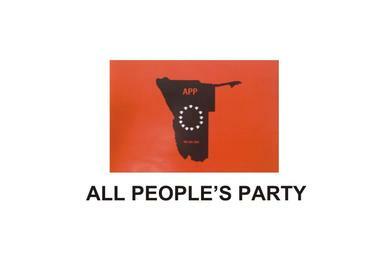 THE All Peoples Party (APP) says it is making inroads and is encroaching on the ruling Swapo party’s northern power base while also taking members from other opposition parties. The APP says it gained 400 new members who allegedly defected from Swapo, the Popular Democratic Movement (PDM) and the Rally for Democracy and Progress (RDP) in the four northern regions of Oshikoto, Ohangwena, Oshana and Omusati. The new members were presented at a press conference at Ondangwa this week. Speaking to Informanté on Wednesday, APP acting secretary-general Vincent Kanyetu said his party is picking up new members all over the country, but that the 400 new members are all from the northern regions. “We only brought the leaders to the Ondangwa conference because it was not practical to bring together 400 people who are scattered in different locations and villages,” said Kanyetu who is himself a former senior leader of the PDM (former DTA). “We are not noise-makers my brother. We are hard-working leaders,” he said. 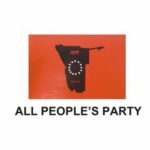 The PDM confirmed that three of its members defected to the APP, including its acting regional coordinator for the Oshana region, Vincent Asser. “Yes, Asser was our acting regional coordinator, but he was not responsible for things he is now claiming credit for,” said Linus Tobias, PDM local councillor for Oshakati town. “I was the regional coordinator during last elections and only vacated my position to focus on my new role as local councillor after the last elections. That is how Asser came to be our acting coordinator. But he was utterly inactive and ineffective. That is why you are hearing his name for the first time,” he said. Tobias further said that PDM structures in the Oshana region are currently preparing for a regional conclave that will take place next month and that would have removed Asser anyways. “He jumped the gun,” said Tobias. Swapo’s regional coordinator for Oshana Samuel Nelongo could not be reached for comment.